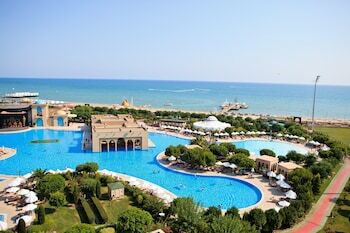 Save money by purchasing a Belek travel package. Just pick out your favourite options and let Expedia do the rest. By booking a package deal on Expedia, you can save as much as 15%*. There's no need to look through a bunch of different websites to secure your travel bookings. With more than 400 partner airlines and 321,000 properties worldwide, our expansive database has it all. You can postpone your travel bookings with us because we don't charge cancellation fees for almost all of our reservations. It can be really nice to just amble around the streets when you're in a new place, but sometimes it's wise to come up with a plan. 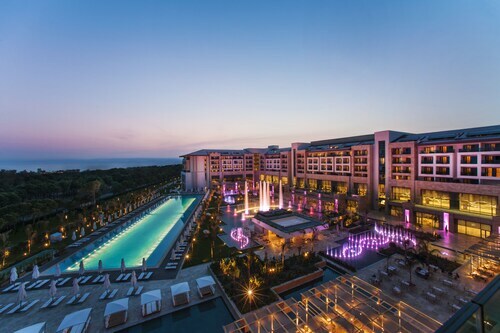 Grab your schedule — we have lots of awesome ideas for your upcoming Belek holiday. If you want to knock a few strokes off your score, then head over to Cornelia Golf Club. Grab your clubs, improve your swing and chat to the locals at the 19th hole. Travellers in this destination have an abundance of choice. Whether you're trying to hit a hole-in-one or just in the mood to brush up on your swing, you're sure to have a blast at Carya Golf Club. Still got some time to spare? Sometimes we become so absorbed in the hubbub of life that we don't take time to slow down and smell the roses. Spend an hour or two inhaling the magnificent perfumes at Garden of Tolerance. You don't have to stay in swanky hotels or fly business class to have an amazing holiday. Just jump into all the fun things you can do while you're there! Check out the Belek things to do page for a complete list. Wind up your day of activities with a nice comfy bed and a snuggly pillow. 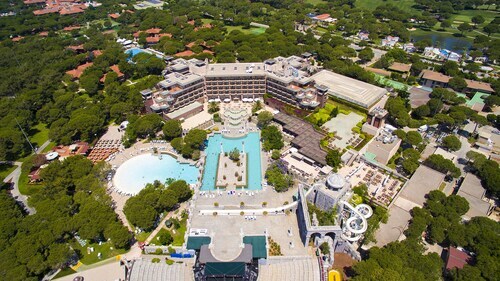 Look at the 73 accommodations in Belek available via Expedia and select one for your cheap holiday or luxury getaway. 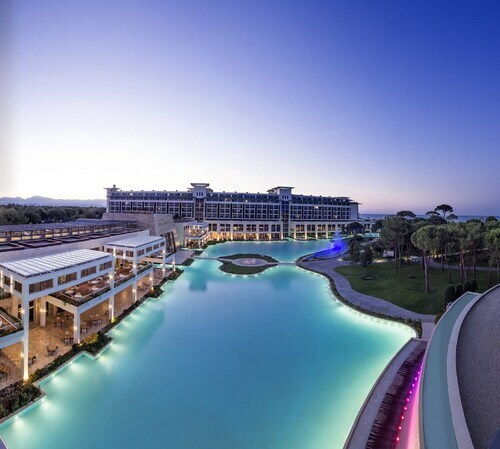 Fluffy robes, cosy slippers and top-notch furnishings are just a few of the things you can expect upon your arrival at the Regnum Carya Golf & Spa Resort – All Inclusive (Uckumtepesi Mevki) and the Maxx Royal Belek Golf Resort - All Inclusive (Iskele Mevkii). Reserve a room now for a taste of the high life! If you'd prefer to spend your cash on things like thrilling adventures and rowdy nights out, why not check out a few of our cheaper options? The Susesi Luxury Resort - All Inclusive (Iskele Mevkii) and the Papillon Ayscha Resort & Spa - All Inclusive (Ileribasi-mevki) come recommended. Positioned just 14 miles (23 km) away, Antalya International Airport (AYT) is the most convenient terminal to your destination. Check that your seat belt is fastened and turn off that in-flight film — your dream trip to Belek is about to start! 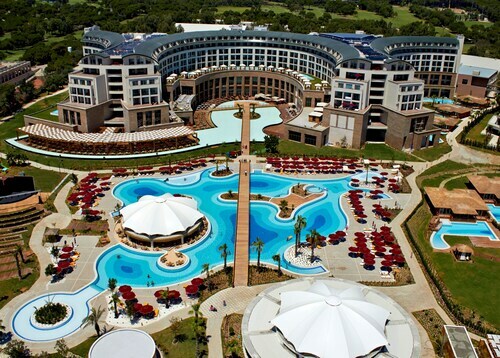 This family-friendly Belek hotel is within 1 mi (2 km) of Belka Golf Club, The Land of Legends and Kaya Eagles Golf Club. Carya Golf Club and National Golf Club are also within 2 miles (3 km). Located in Belek, this beachfront resort is next to a golf course and within 6 mi (10 km) of Troy Aqua and Dolphinarium, Cornelia Golf Club and Belek Mosque. Kaya Eagles Golf Club and Carya Golf Club are also within 9 miles (15 km). 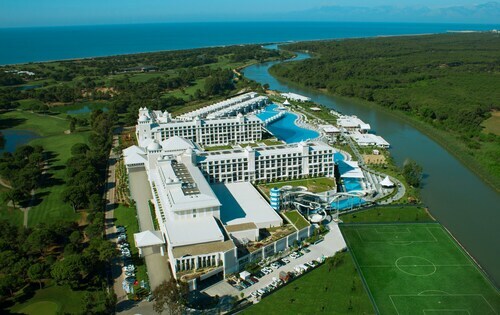 Nestled on the beach, this Belek Golf Area resort is within 1 mi (2 km) of National Golf Club and Kaya Eagles Golf Club. The Land of Legends is 2 mi (3.2 km) away. 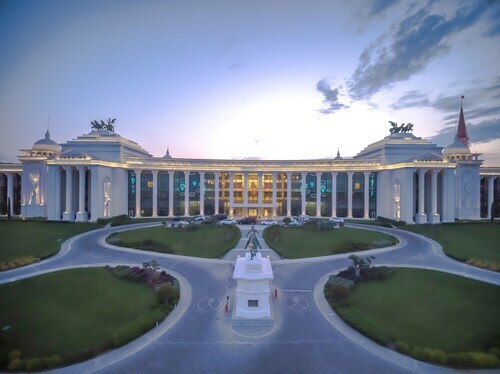 Located in Belek Golf Area, this beachfront hotel is next to a golf course, 3 mi (4.8 km) from Belek Mosque, and within 6 mi (10 km) of Cornelia Golf Club and Garden of Tolerance. Belka Golf Club and Carya Golf Club are also within 6 mi (10 km). 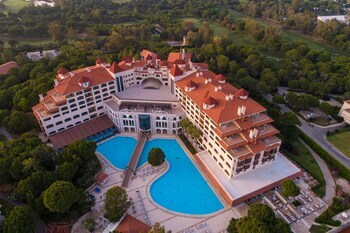 Located in Belek Golf Area, this beachfront resort is connected to the convention centre and within 3 mi (5 km) of Carya Golf Club, Kaya Eagles Golf Club and Garden of Tolerance. Antalya Golf Club and EXPO 2016 Antalya are also within 16 mi (25 km). Nestled on the beach, this Belek Golf Area resort is within 1 mi (2 km) of Carya Golf Club, The Land of Legends and Kaya Eagles Golf Club. Belka Golf Club and Antalya Golf Club are also within 1 mile (2 km). Offering direct access to the beach, this Belek Golf Area resort is next to a golf course, 1.2 mi (1.9 km) from Cornelia Golf Club, and 1.3 mi (2 km) from Belek Mosque. Kaya Eagles Golf Club and Carya Golf Club are also within 6 miles (10 km). Situated in Belek, this luxury hotel is within 3 miles (5 km) of National Golf Club, The Land of Legends and Kaya Eagles Golf Club. Belka Golf Club and Tat Golf Belek are also within 3 miles (5 km). LON-All Airports - Antalya Intl.